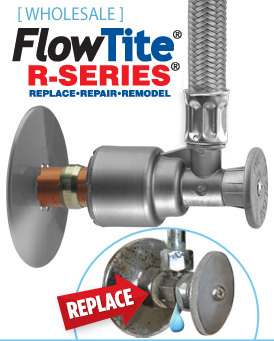 Lavatory & Sink supply kits for Copper or Chrome Drop faucets or Track Packs" FlowTite® 4ALL angle stop 1/2" nom. with attached PVC or Braided High Performance connector x 3/8" comp. adapter with escutcheon. Connector Lengths Available: 6" , 9" , 12" , 15" , 20" , 24" , 30" , 36". 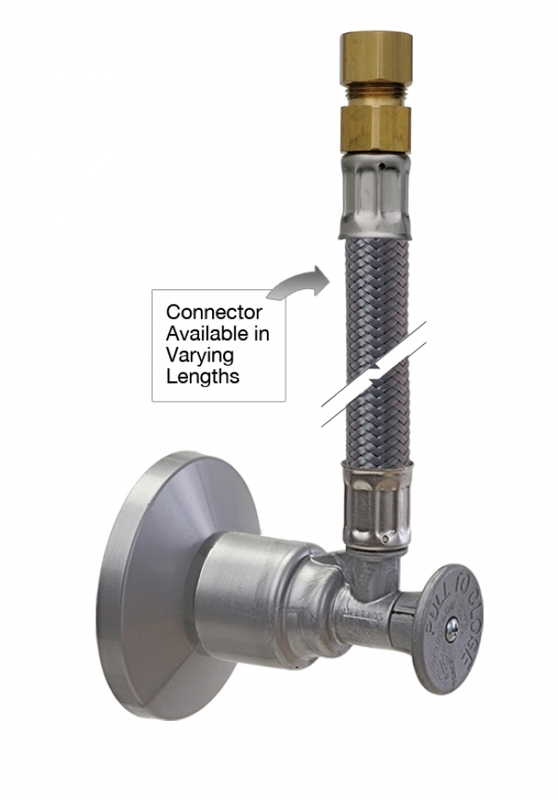 Connector Lengths Available: 6" , 9" , 12" , 15" , 20".